Mid-January as part of my birthday celebrations, DH and I made a pilgrimage to Michigan to visit two Archiver’s stores before they closed for good on February 15th. 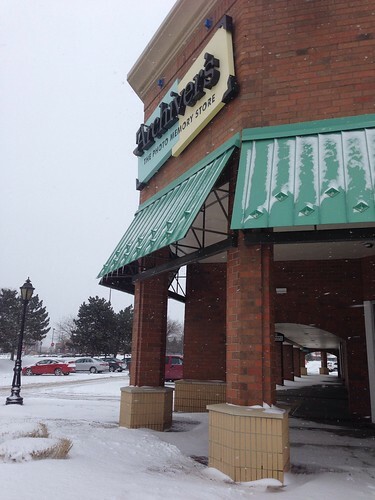 Other than some of the amazing mega-stores in Utah and Arizona, Archiver’s was absolutely THE scrapbooking mecca. Though I had heard the rumours for a few weeks, I was still very sad to receive the email from Archiver’s confirming the worst news that they were indeed going out of business. Archiver’s was my go-to for inspiration, for the latest and greatest, or rare finds, or staples in supplies as they had absolutely everything. I found the layout of the store well planned out and easy to shop. I found the staff to be always very helpful. Needless to say, I was an Archiver’s fan and could easily spend a pretty penny in their stores. Every. Single. Time. So, of course I had to go to both Michigan stores to see what deals I could find, and if there were any items I should stock up on for a good price, or while I could if they were a tough find. 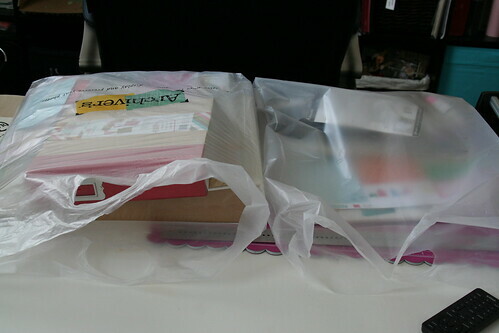 I came home with two amazing bags of loot. I wanted to make a deal with myself to use up some items of my stash and replace them with the new, but that was short lived. Very short lived. So here are my pictures of my unpacked haul from my last visits to Archiver’s. Yes, I now know I could shop online with them but it’s just not the same. 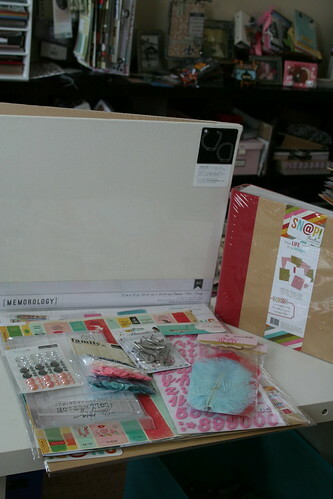 I’m a girl who needs to see things live when it comes to scrapbooking. No doubt you will have seen some of those embellies on my pages that I’ve posted between now and January. 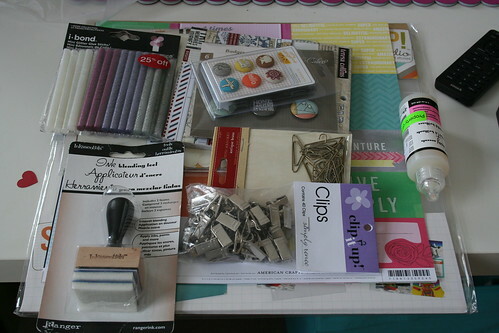 And you’ll note the Tim Holtz goodies I managed to pick up for 40% off too! There were tears. Possibly from me. Definitely from the staff – a job, a community, a livelihood, all going away. Thank you Archiver’s for the memories.